Terania Creek picnic area is a great place for a family picnic or barbecue. Close to the carpark, walking tracks and waterfalls, its home to birds and goannas. The grassy Terania Creek picnic area is an ideal place to relax for a picnic or barbecue lunch with family and friends. This area was the scene of protests to save the rainforests of NSW from further logging, so aside from its natural beauty, it is an important part of the history of our World-Heritage listed rainforest. 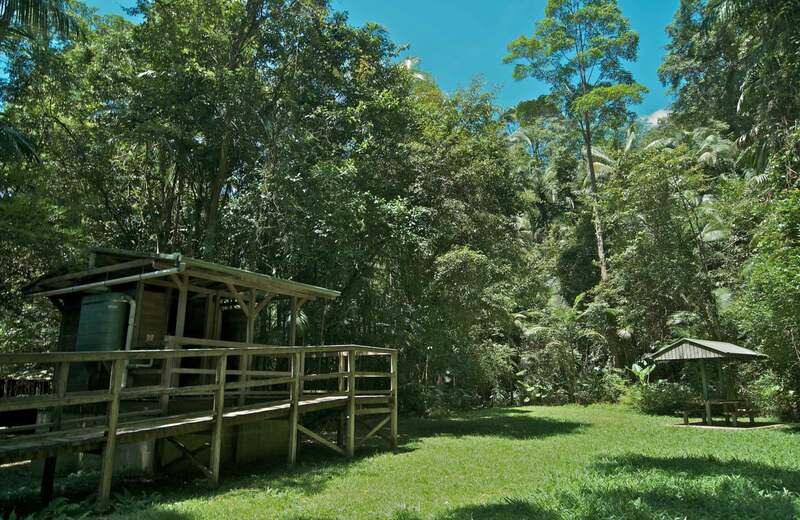 The rainforest setting, complete with birds and goannas, is sure to delight children and adults alike, and the secrets of Terania Creek are waiting to be discovered. If you need to work up an appetite before your picnic, or feel like stretching your legs after a tasty barbecue, the easy Protesters falls walking track starts from near the carpark.